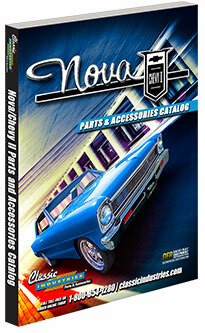 Classic Industries® has offered restoration parts for the Chevy Nova since 1993. 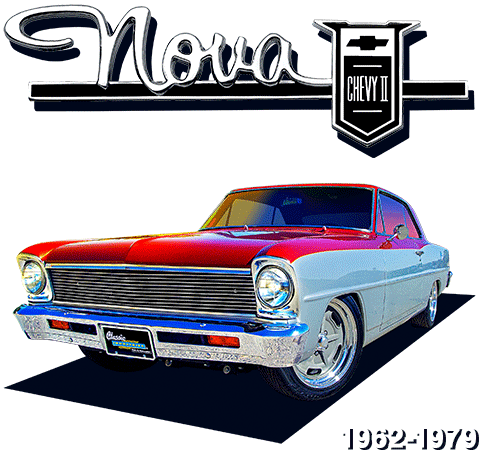 Since then, we've expanded to provide parts and products for the Nova, from the first 1962 all the way through 1979. Our expansive inventory includes just about everything needed to return your Nova or Chevy II to showroom condition inside and out, from the body to the engine bay to the interior upholstery. Restoration isn't all we do, either. We also offer performance, modernization and restyling parts to suit nearly any build, whether it's showroom stock, restomod, drag-strip hauler or pro-touring canyon carver. If you're looking for Chevy Nova parts, you've come to the right place.